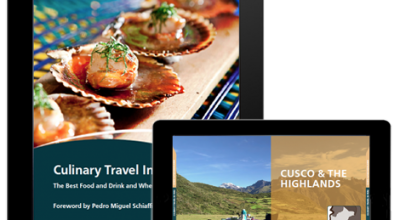 Find the answers to some of the most common Bolivia frequently asked questions on luxury travel Bolivia. Contact us with any other questions and our expert, locally-based travel team will be able to assist as part of your tailormade travel planning arrangements. Aracari Travel is the pioneer high-end specialist in sustainable travel to Peru, Bolivia and the Galapagos. Aracari's team of local travel experts specialize in crafting bespoke, private multi-day journeys that include transfers, guides, hotels, activities, cruises, train tickets and entrance tickets. All trips are tailormade, specially designed to suit your interests, budget and time available to travel. Aracari draws on its prvileged network of specialists in their field to offer exclusive access to private collections and insider experiences. Read more about Aracari. When is the best time to travel to Bolivia? Bolivia is a year-round destination. With varied climates, the weather in Bolivia varies significantly from region to region at any given time of year and the best time to travel will depend in part on which regions of the country you plan to visit. In the Andes and higher altitude regions like the salt flats of Uyuni – Bolivia’s main tourist destination – there is a dry and rainy season, as opposed to four seasons. The dry season is from April – November. There are lower temperatures in the dry season than rainy season, when the Salar can get very cold. The wider temperature fluctuations occur more dramatically between daytime and night time. In the dry season, the Salar forms vast expanses of pentagons of crystalline salt which creates an enormous, surreal white landscape. The rainy season is from December – March, when a thin layer of water builds up on the Salar de Uyuni allowing it to take on a mirror-like reflective quality. It is not possible to cross into the middle of the Salar by 4×4 in the rainy season, so routes are adapted to photograph the Salar and its reflective qualities. There are also many colorful festivals in Bolivia, which you might be interested in timing your visit for. Read more about the best time to travel to Bolivia. How do I get to Bolivia? There are a range of options depending on where you're starting from. Bolivia can be accessed either by flight (internationally or regionally) or by road from neighboring countries. There are only a few direct international flights that arrive into Santa Cruz or La Paz on airlines including Avianca, LATAM, United, Aerolineas Argentinas and Air Europa. There are direct flights from Miami in the US, Madrid in Spain (on Air Europa) and neighboring South American countries, including Sao Paolo, Buenos Aires, Lima and Cusco. Keep in mind La Paz is at high altitude, so it's important to allow time to rest and acclimate. There are no international flights direct to Uyuni, but Uyuni can be easily reached via a short, domestic flight on airline Amaszonas or Bolivia's state-run airline Boa (Boliviana De Aviación) from major destinations like La Paz and Sucre. It is also possible to arrange private charter flights to Uyuni. Alternatively, it is common to travel to Bolivia overland when combining a visit to Bolivia with a neighboring country. The most widely used route is to travel to (or from) Bolivia by road from Lake Titicaca in Peru via the Kasani border. This can be done in a day. It is also possible to travel by boat across Lake Titicaca. In addition, there are land border crossings with Bolivia's four other neighboring countries: Argentina, Brazil, Chile and Paraguay. It is also popular to combine a 4x4 tour of Uyuni salt flats and Bolivia's Eduardo Avaroa Reserve with Chile, starting or ending in San Pedro de Atacama, one of Chile's top travel destinations. Aracari arranges overland options as part of any tailormade trip to Bolivia. Do you arrange international airfare? We arrange trips to Peru, Bolivia, and the Galapagos Islands and can arrange domestic flights within these countries, or international flights between them. We specialize in ground arrangements (drivers, transfers, trains, boats etc in our region) as opposed to flights, so are unable to offer international flights to or from your departure country. How long do I need to visit Bolivia? We recommend a week to take in all the main highlights: La Paz, Lake Titicaca, Salar de Uyuni, Potosi and Sucre. 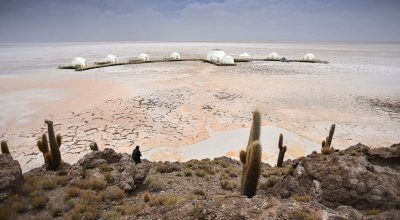 If you're only planning to visit Uyuni, then you will likely need one night in La Paz prior to flying to Uyuni and we then recommend a minimum of one night at the Salar - ideally two. What is the standard of accommodation like in Bolivia? Bolivia is a developing country and therefore infrastructure varies. In La Paz there are good 3-5* hotels to choose from. In Uyuni, accommodation is unique and comfortable, rather than luxurious. You can choose to stay in memorable hotels made from blocks of salt or deluxe airstream campers with your own dedicated chef. Elsewhere in the country accommodation tends to be basic. Sucre offers a charming 3* hotel, while Lake Titicaca offers more rustic lodging. Do you arrange group or join-in tours? At Aracari we only arrange private tours. We do not offer group tours on a join-in basis with a set departure date. 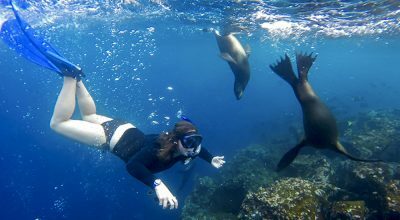 We occasionally offer one-off special departure group trips which we will announce on our website. Past trips have included a special lecture cruise in the Amazon or founder-led trip to Uyuni. If you've already formed your own group then we would be delighted to assist. 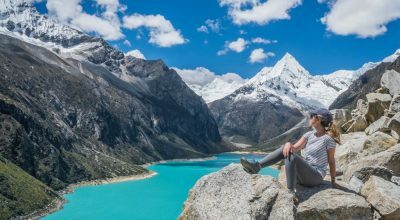 We have designed tailormade trips for many groups, from multi-generational families to specialist interest groups and societies visiting Bolivia. This depends on your passport. Visa requirements for Bolivia vary greatly by country and are subject to regular change. In addition to reviewing the information below we strongly recommend you consult your local consulate for up-to-date details about visa requirements for travel to Bolivia. US Citizens do require a visa. As of January 2018, the visa cost for US citizens is $160. US citizens may obtain a visa in the airport upon arrival in Bolivia or at border crossings (with immigration control posts) as long as they have: a valid passport, certification of their yellow fever vaccine if visiting the jungle, a bank statement proving economic solvency, a passport-size photo (4cmx4cm in size with a white background), and money (cash) for the $160 payment. Travelers from the US must also present either a copy of their travel itinerary, hotel reservation, or invitation letter from Bolivian friends or relatives including the host's address. Aracari is also able to provide an invitation letter. For all visitors a valid passport with at least six months validity after the final day of travel is required to travel to Bolivia. Do I need any vaccinations to travel to Bolivia? The government of Bolivia only requires proof of yellow fever vaccination if traveling from a country with risk of yellow fever transmission. The yellow fever vaccination is recommended if traveling to certain parts of Bolivia (such as the jungle). It is valid for 10 years and must be administered at least 15 days before arrival. Malaria pills are only recommended, not required, for certain areas of the rainforest. La Paz is one of the highest airports in the world, so it is best to acclimatize in a neighboring country or arrive in La Paz and connect to a destination at a lower altitude, like Sucre. There are a few different ways to alleviate the potential side-effects of Acute Mountain Sickness (AMS), also known as Soroche, during your trip. Diamox can help when it is taken a couple of days prior to ascending and a couple of days once at altitude. Once you are in Bolivia, a natural remedy is coca tea, which is helpful during your stay at high altitude. You should also drink plenty of water before your flight to high altitude and during your stay. Eating lightly before and upon arrival and resting also minimize the effects of altitude, which can include headaches, shortness of breath, fatigue, nausea or loss of appetite. Our guides are equipped with basic medical kits, but you may want to bring some of your own medication, especially for treks or adventure activities e.g. antidiarrhetics (Imodium), Pepto Bismol for stomach pain, antihistamines (both capsules and balm), analgesics, band aids and blister plasters and insect repellent. Travel insurance is not a requirement, but we strongly recommend you do have insurance to cover you for flight cancellations, theft, lost luggage and general cancellation by you in the event that you are unable to carry out your trip due to illness or unforeseen circumstances. It should also cover you for potential medical expenses incurred during travel in case of illness or accident. What currency do I need to bring? There are cash machines throughout the major tourist towns. Visa, Mastercard and American Express are accepted, but American Express and Master Card are not accepted in all places. Generally we do not recommend bringing traveller’s cheques as when they can be exchanged, the rate is usually worse than for cash. We would recommend exchanging traveller’s cheques in the airport where commission fees are lower. How much am I meant to tip? Tips are entirely at your discretion. All of our guides and drivers are paid fairly so tipping is not a requirement, though always welcomed. It is best to leave a tip in cash. You may tip 10%, but it is totally discretionary. Credit cards and traveler’s cheques are widely accepted in smarter restaurants. Tips are already included in the price if the meal is part of your program. Will my mobile phone work in Bolivia? Phone and internet coverage is highly variable depending on where you are in Bolivia. In and around Uyuni there is no internet coverage at all, only phone coverage. The Salt Hotels provide free WiFi within their properties, though the connection can sometimes be slow and unstable. Our 4x4 vehicles in Uyuni are all equipped with emergency satellite phones. In major cities like La Paz and Sucre there is good phone and internet coverage. Aracari can provide you with a local SIM card and pre-paid data plan during your travels to Bolivia. Aracaris belong to the Ramphastidae family, together with toucans and toucanets. Aracaris inhabit the tropical forests and forest edges of South America from eastern Colombia and Ecuador south to Bolivia and northeast Argentina. There are several Aracari species, some of which are beautifully depicted in these prints by John Gould (1804-1881) the English ornithologist and bird illustrator.